This site is being prepared as the online resource for a new project, one for which apparently the time has come. 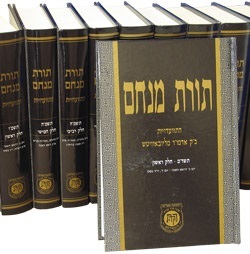 Translations into English of the Rebbe’s revolutionary talks of the years 5751-52 (1991-92), known as the “nun-alef/nun-beis sichos“. The sichos of nun-alef/nun-beis are lengthier than the talks of earlier years, and are more multi-faceted. They are not easily capsulized and they are built upon a breadth of Torah knowledge that poses a challenge when translating to the English-speaking audience. No doubt this is why, after 20 years, there are almost no translations of these talks (other than the original translations from Sichos In English that came out at the time). 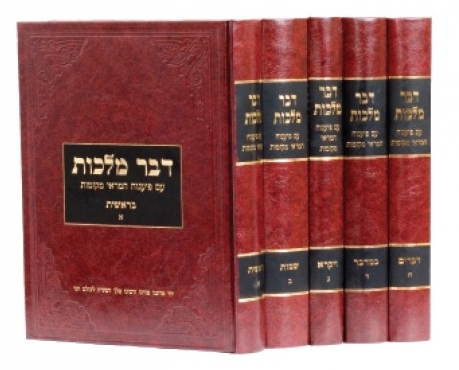 Our goal is to present the English-speaking world with access to these talks in a form that allows the Rebbe’s revolutionary pronouncements to be grasped clearly, not to be obscured by the lengthy and deep Torah erudition and breadth of sources that would make them inaccessible to most readers in English. The form this will take is still evolving, and your comments and input are most welcome. Over the course of this full year of teachings, the Rebbe gradually builds for us a vision of how we are leaving the state of Exile (Golus), how the world is ready for the Geulah, that Moshiach is already here and affecting the world and all that remains is to open our eyes. And the Rebbe does not fail to provide clear practical guidelines how to bring this into reality. With Hashem’s help we will be able to present these sichos in a way that will be readable and at the same time remain true to the unique style of these talks, with the primary goal of emphasizing the amazing novella (chiddushim) that the Rebbe is telling us here: we are leaving Exile, we are transitioning to Redemption, and it is in our hands to speed the process. The Rebbe stated that the “direct way” to bring about the revelation of Moshiach is by learning the subject of Moshiach and Geulah, especially as explained in Chassidus and especially in the teachings of the Leader of the Generation, and, as is known, these sichos stand in the forefront. May we see immediately the true and complete redemption brought about by our righteous Moshiach, and through these sichos we will see how the Rebbe is holding our hands and leading us out of Golus right now.